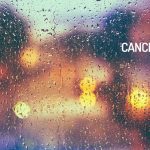 Here is your Cancer Horoscope for November 2018. Every month, you will find at WeMystic the astrological forecasts for your zodiac sign. November will be a busy month on the sentimental plane for the natives of Cancer. The North Node will be activated on 15/11 in the sign of the crab, leading to questions about the mission of life, one’s own identity and the creation of inspiring goals. At the same time that the North Node makes its entrance into Cancer, the South Node will do the same in your House VII (15/11). Let us remember that the South Node tells us what we must overcome/leave behind. As you enter Cancer House VII (commitment, associations, legal issues), the South Node will emphasize overcoming the patterns that affect your relationships (as a couple, with others and with yourself). This can be evidenced through the reunion with people of the past, or the repetition of lines of conduct that you believed were a thing of the past: behave “as before”, or feel in a “deja vu” (“I already lived this”). On the other hand, the entrance of Ceres the House V of Cancer speaks of reconnection with children, but also of rediscovering romance and pleasure. However, if you don’t pay attention to the unfinished business (South Nodes in House VII), it is possible that the “ghosts of the past” will interrupt your idyll. Finances will remain stable for the sons and daughters of Cancer in November 2018. Mars will leave House VIII of the sign on the 14th, so there is a better willingness to listen to others on issues associated with the community of goods or family businesses. However, remember that Lilith is in this location (Cancer House VIII), so it is not surprising that even if you consider the other is right, you refuse to give in and want to do your will. November is a time that will drive many changes for Cancer, mainly due to the entry of the North Node in the sign of the crab. It is likely that you feel the need to invest resources to change the direction of your life, your image or other aspects. Before making high expenses, it is recommended to consult with a specialist in the subject or a person who offers impartial advice (friend, relative), to avoid later regrets. A frivolous example of this type of situation is to drastically modify your hair color, if you do a test of previous tones (or listen to the stylist), to discover in the end that you do not like at all. The same can happen with a diet, a professional course, and enrollment in an educational institution, among others. In terms of work, Jupiter and the Sun will enter Cancer House VI (on November 8 and 22, respectively), which means interesting opportunities, such as promotions, changes of department or company, new projects or salary increases. If you have doubts about your next professional steps, or are afraid of the great changes ahead, as well as asking for advice, you will have the favor of two retrograde planets. Uranus will make its entrance into Cancer House X on November 6, while it fulfills its apparent regression process. This transit will cause you to rethink your short, medium and long term work objectives. Likewise, Mercury will begin its retrogradation in the Cancer House VI, on the 16th, placing an obstacle to the Sun and Jupiter. But do not worry, and take advantage of this pause to regain confidence in your dreams and intentions. For Cancer students, the entry of Mars into House IX (15/11) and the beginning of Neptune‘s direct phase at the same location (24/11) indicate a high level of enthusiasm for academic activities. It is important to keep in mind that Chiron continues to retrograde in House IX, so limiting yourself to the satisfaction produced by external achievements can become a trap that takes you away from the work of consciousness, and pay attention to the voids. November 2018 will be a positive period for the health of the natives of Cancer. The entrance of Jupiter and the Sun in the House VI of the crab (the days 08 and 22 of November, respectively), speak of vitality and physical strength. These alignments also favor sports practices, and changes in diet and lifestyle (habits, household and work routines). It is important that, if you decide to implement any modification in your daily diet or your level of physical activity, you consult with specialists in the matter, before beginning. Remember that you will always get better results, if you follow a plan designed for you, instead of one taken from the internet or made for someone else. You can apply the same strategy to other areas of your life in which you feel particularly disoriented, such as taking a new business direction, reorganizing your home efficiently or finding a new style of clothing. It is worth noting that the North Node will move to Cancer on November 15, a transit that promotes personal transformations, the rediscovery of one’s own identity, and the appreciation of the individual needs of the subject. The powerful energy of the North Node can cause a certain imbalance, so having professional advisors in the issues that concern you (food, business, health, lifestyle, exercise, image), is a valuable tool that you should not discard. Keep in mind that Mercury will begin its retrograde phase at Cancer House VI on 16/11, signaling an opportunity to analyze the changes in your life and their viability. Mercury retrograde Cancer House VI increases susceptibility to allergies, viral or respiratory diseases. Therefore, if you suffer from a chronic ailment of this type, it is advisable that you remain attentive. Last but not least, don’t forget that asteroid Psyche continues in your House VI, which implies a deep satisfaction in using your talent to help others. Remember that you will never be an island.